Baltazar marketing operates as a team of professionals in a highly flexible project management organization. Blaž Branc, entrepreneur, sociologist with specialization in human resources management, author, trainer and lecturer. He began his career in 2001 at a start-up web company Domenca, where he first worked as a salesman. 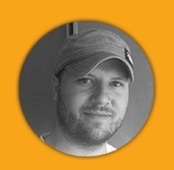 Later he took over webdesign department and led a group of 12 programmers, designers and animators. 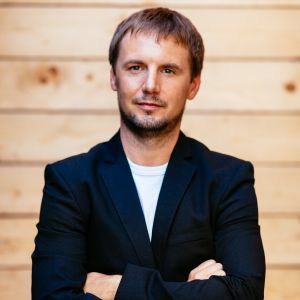 In 2007 he established his company Baltazar marketing and ran marketing operations for Mimovrste, a company that became the biggest Slovenian online store in 2009. He's worked with domestic and international organizations like Porsche, Hewlett-Packard, Samsung, Toshiba, KD Funds, Si.mobil, Austrian airlines, etc. Blaz leads a double professional life: one of marketer, specializing in product communication and sales engineering, and one of educator of adults. His work as an educator of adults began in 2007. He focuses on start-up programs, innovative product development, product communication and soft-skills needed to assemble and run a great team. Currently he works on Mugo's own social app called MugoSurf, a mobile community software for people sharing a passion - in this case, surfing. Žiga Novak is an expert in edutainment, event management and tourism. In his work with organizations he promotes the use of storytelling, humour and participatory techniques for more effective group cooperation. As a student of International relations in Ljubljana, he was invited to join a one year Leadership development program in Boston, USA, sponsored by the Open Society Institute. Žiga holds a MSc degree in Politics of the World Economy (London School of Economics). In recent years he has been facilitating HRM trainings, developing his own event&educational venue (The Walnut Grove in Ljubljana) and running the Team Building Lab - a team building agency running top-notch edutainment solutions for the global market. Krzysztof Chmielewski is a full-time LARP (live-action role-playing) master coach, teaching LARP design since 2006. Kris created and ran his first LARPs in 1999. A veteran in the scene. He specializes in LARP for team buildings and corporate soft-skills training as well as arthouse-style LARPing. Kris graduated in Politics and History. He also has a degree in directing and screenwriting. 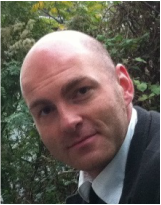 He holds a MSc degree in Mediation, Negotiations and Psychology in Business. Currently he works as role-playing games design lecturer at Kazimierze Wielki University in Bydgoszcz, Poland. He also gives lectures to high school teachers on how to use LARP and gamified drama. Specialist at GAMEDEC LARP Lab, Poland. Kris is probably the only economic mediator in Poland that gamifies facilitation and mediation. Member of Games Research Association of Poland. Juror in the "Złote Maski" (Golden masks) competition - biggest LARP contest in East-Central Europe (2010-2014). Do you feel like our company could be an inspirational environment for your talent and skills? If so, please write to Blaz (blaz@baltazar.si) and introduce yourself briefly to start the conversation. Thank you.